Confirmation 2018 » TOGHER N.S. Congratulations to the boys and girls of Togher N.S. 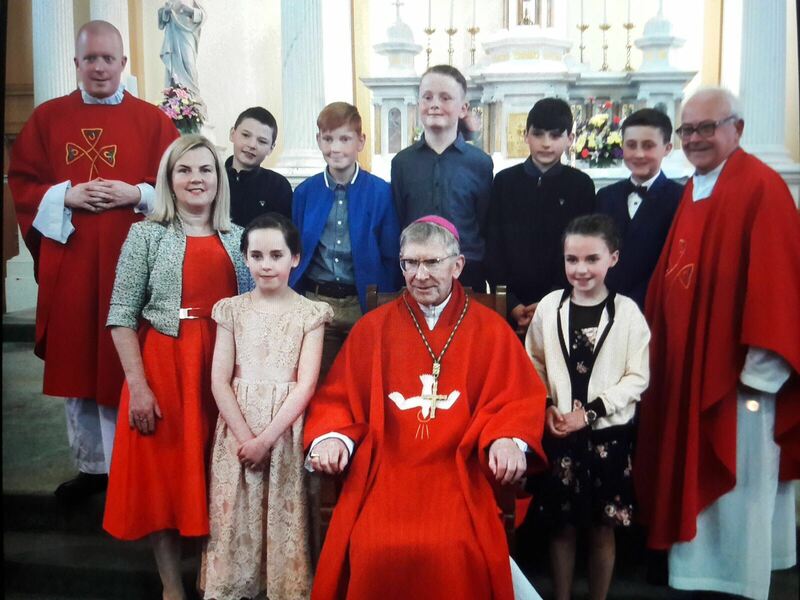 who received the sacrament of Confirmation in St. Patrick’s Church, Dunmanway today. St. Patrick’s Church was filled to the rafters with family and friends there to witness this special occasion. Bishop John Buckley officiated over the confirming of 108 children. It was a beautiful ceremony. The children did all their various jobs beautifully and were a credit to their parents and schools.